A town overrun by psychics, murdered by the very tools they utilize. That’s a nice set-up for a Supernatural episode and it’s what we had with “The Mentalists.” But beneath the supernatural case, there is the psychological one. 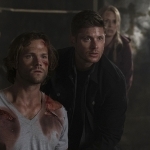 Dean and Sam need to be helped just as much as the victims they’re trying to save. And it was very lovely to see that play out onscreen. 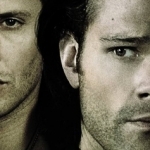 Can I both love and be frustrated with the Winchesters? Because that’s my constant state of mind right now. This episode illustrates both sides of that feeling quite well. 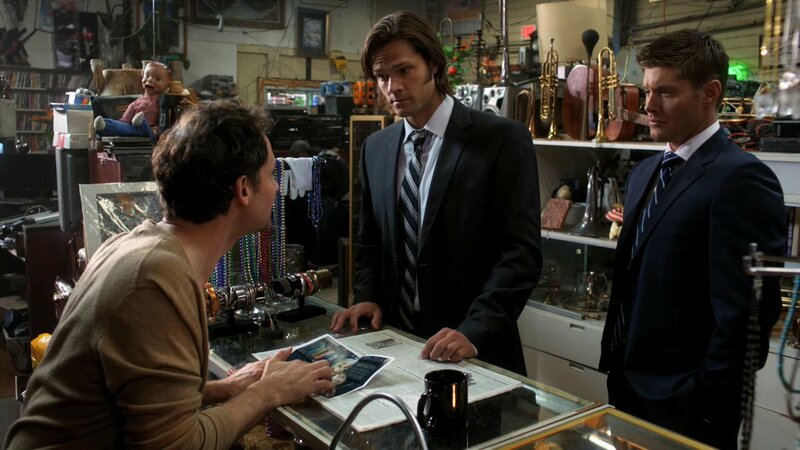 Yes, the case may have been about psychics and vengeful ghosts, but the subplot was Dean and Sam’s relationship as it mirrors a long-standing marriage. Your partner may do things that frustrate you, anger you, and generally tick you off, but in the end you both must make allowances and meet each other half-way because it’s a partnership and that’s what is necessary. "I'm not asking you to open up a can of worms. Okay, I'm not even asking you where the hell you've been for the past week and a half." I liked the episode for the fact that the brothers are trying to work through their issues, of which there are many. We left them last week, broken apart and not bending on their respective opinions. Sam was furious that Dean not only killed his friend, Amy, but also that his brother lied to him. Lying and secrets do not play well with Sam because he knows the bad that can come from them. 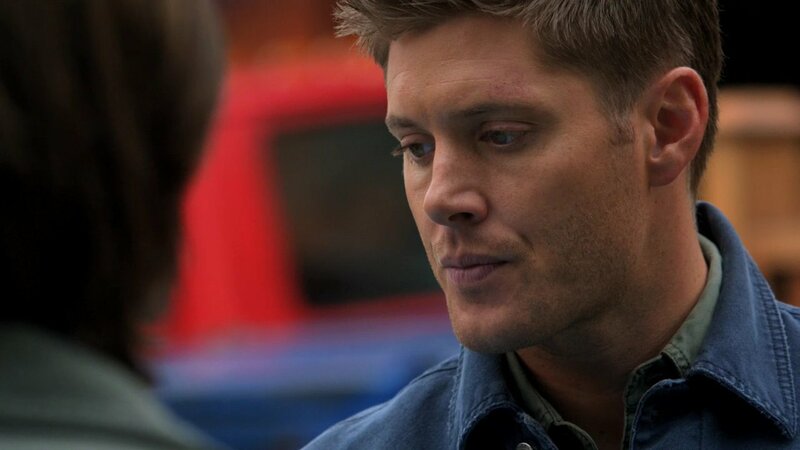 On the opposite side, Dean was steadfast in his feeling that he did the right thing. Amy was a monster that he had to put down and he knew Sam was not going to be able to do it, so he stepped up. In his mind, he was doing what needed to be done. And there we had our impasse, with Sam walking away and not talking to his brother again for a week and a half. It would have been longer if Dean hadn’t accidentally run into him in the middle of the case. I like that they’ve both grown enough to approach this situation as partners, rather than Dean always playing the big brother card. Dean, however, is still doing it, but he’s learning not to. It pleases me to see that Sam is still mad and not easy to forgive. He’s not going to tell his brother where he was for the last 10 days because he doesn’t owe him that. He can be professional about the case, but he doesn’t have to be nice or willing to brush the situation aside. Dean, however, is still stuck in that mindset of thinking they can just forgive and forget by sweeping the entire situation under the rug like nothing happened because that’s what he does with all of his issues. He bottles them up, puts them in the back of his mind, so he’s in a constant depressive, alcoholic state. It’s not healthy, but it’s the Dean Winchester way. "Like you two, long-time partners, but um...a lot of tension. You're pissed. And you're stressed." And through the course of the episode, both we and the boys were reminded that theirs is a marriage. They love each other, they rely on one another, and they’re around each other 24 hours a day. The tension is going to build up and they’re going to have blow-outs. The key is to not let those issues fester and destroy the bond they have. I understand that you have to make allowances for one another to see a long-term relationship succeed, but I’m not sure how I feel about the resolution of this particular incident since it basically came down to Sam admitting “sure, Dean, you’re right again.” Dean can’t always be right. His lines of morality are not clear-cut and they are confusing me. Yes, Amy was a monster who killed people. Guess what, so were the Starks. Where is the line? Sam admits that if he didn’t have a personal connection with Amy, he would have done it, too, but it’s like they’re picking and choosing again. They can’t decide which supernatural creatures they let go based on who has the better personality. They either have to kill them all or better justify why not. This admittance of forgiveness helped repair the damage done between Sam and Dean this time, but it did nothing to solidify their guidelines for hunting. Are we forever going to rely on Dean’s gut for determining how to play it? 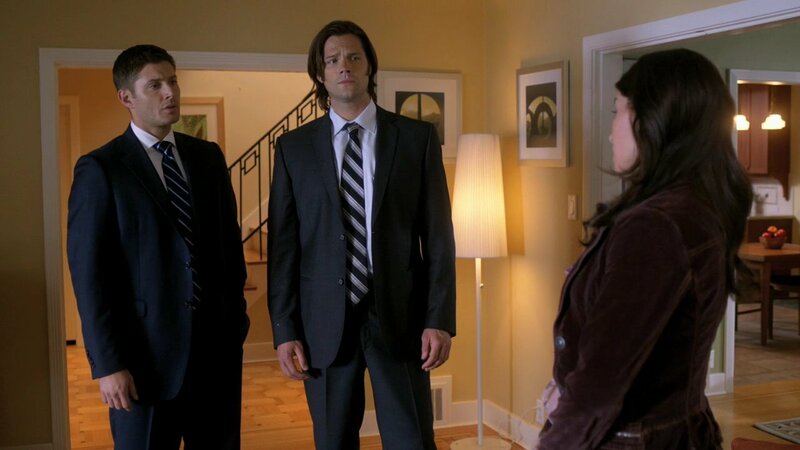 However, I did like that Dean admitted that his issues are coming from the fact he doesn’t want to lie to Sam anymore. Yes, let’s stick with that. No more lies, no more secrets, be honest with each other for once! It’s not going to suddenly erase the depression and alcoholism that Dean’s in the middle of, but maybe it will aid in his eventual recovery to know that he does have Sam to rely on and he can be honest with him, even if the truth is painful and dirty. They have to have each other’s backs because nobody else will. In fact, there are few people still around that can have their backs because they’re all dead. They’ve got Bobby, that’s it. Dean’s fragile mental state is hanging by a thread based on whether Bobby’s going to make it until the next week. And Sam’s basing his whole determination of reality on what Dean tells him to be true and the pain reminders he gets from poking the scar on his palm. Neither of these boys is in a healthy mental state, but as long as they have each other, they survive. Hey, it’s worked for them so far. "And as far as how I've been acting, I don't know. Maybe it's because I don't like lying to you. You know, it doesn't feel right." Anyway, in regards to the case, Dean is clearly blind, or either I am. He saw Margaret Fox on the tape, he saw the picture of her and her sister Kate. Why, then, did he go after Kate when it was clearly Margaret? 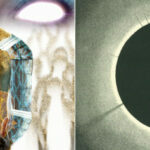 Am I blending the two together or was it was once again an issue of him being willfully blind to all the possibilities? And in a typical reaction that I’ve come to expect from Dean, he refuses to listen to the ghost who is trying to warn them of bad things coming. What was Dean’s gut telling him that time? Because it was clearly wrong. And both Sam and Dean have been around hunting for twenty-plus years, yet they never cared if salting and burning a ghost’s bones caused it pain. It clearly does, based on the screams we’ve seen them let loose, but Dean never thought about it. He’s always been the solider, getting the job done and not putting a lot of thought into the creatures they have to put down. It’s nice that he gets reminded once in a while that there are still questions that he’s not asking. 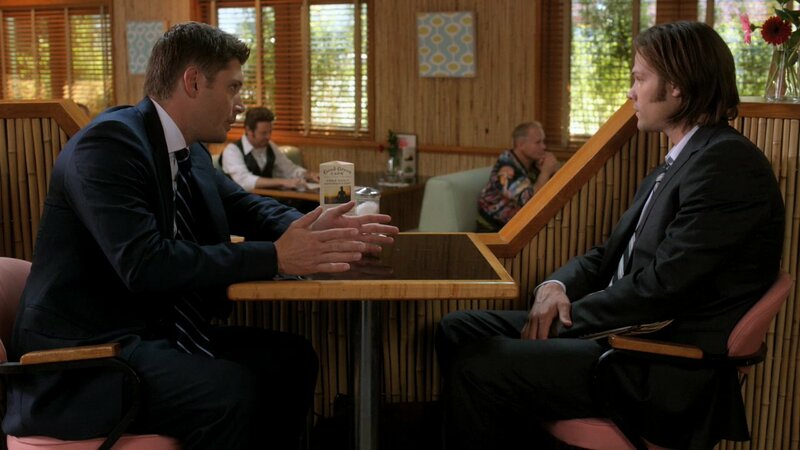 So, despite my eternal frustrations with the Winchesters, I really liked this episode. It allowed us to see a relationship being repaired based on negotiation and understanding. These boys only have each other and they would die for one another. There are going to be bumps in the road, but they can get through them. I just hope they learned that burying the problem is never the solution.